On Sunday, April 8, Jessica Marabella and her certified PAWS of CNY therapy dog, Blue, met with Laura Hand on CNY Central to discuss PAWS of CNY’s therapy pet recruitment efforts in Oswego County. Watch the video below to learn how your dog or cat could make a difference to those in need in Oswego County. Special thanks to NBC 3 and Weekend Today in Central New York TV anchor at PAWS of CNY volunteer Laura Hand for welcoming us on the air. 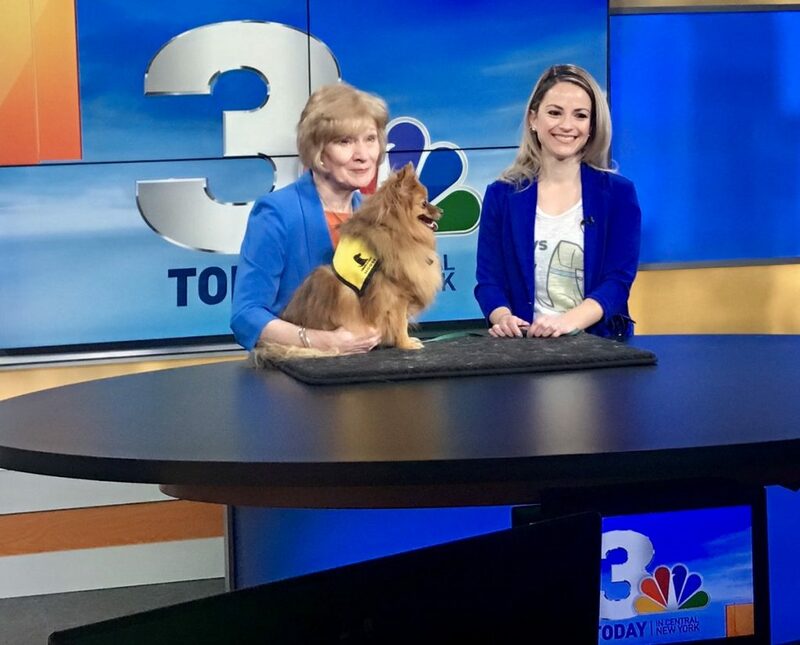 Certified therapy dog, Moose visited the set of CNY Central on NBC 3 and her Mom, Laura, on the morning of Sunday, March 18 to help encourage others in the community to volunteer with PAWS of CNY. Moose was on set with PAWS of CNY President, Jessica Marabella, to talk about the organization’s goals to add ore certified pet therapy teams in Cayuga and Oswego counties. Read the full story from NBC3 here. This class is Currently Full. Please check back for future therapy dog class opportunities.